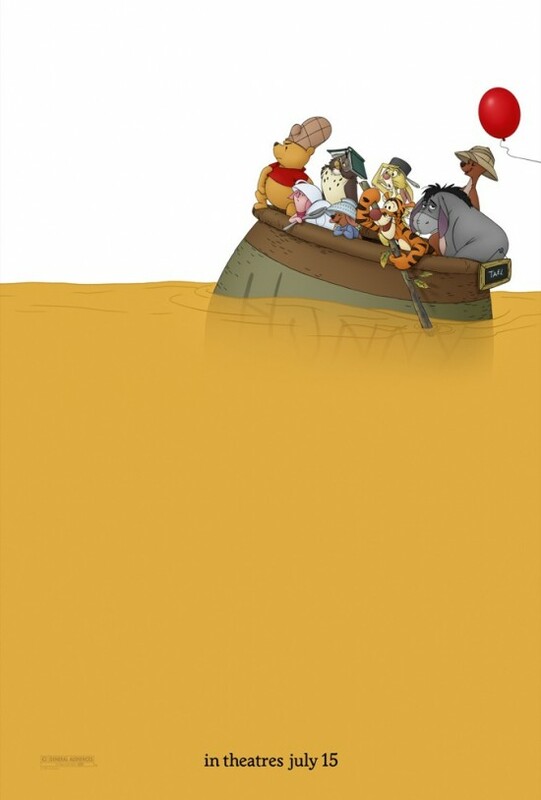 PLOT: During an regular old day in Hundred Acre Wood, Winnie the Pooh (Cummings) sets out to find some honey. But first, he and his friends must try to find Eeyore's tail, and Christopher Robin. WHO'S IT FOR? Teenage boys will refuse to let Winnie the Pooh win them over. Everyone else will be happy as long as you like musicals. Winnie the Pooh is as sugary sweet as ... well ... something that is sugary sweet. His quest for honey never gets old, and it's the perfect distraction for whatever kind of stress you have in your life. The film gets away with crafting a movie for very young kids that adults will enjoy. Whether you know it or not, you're nostalgic for Pooh. You don't have to worry about it being too scary for kids, you don't have to worry about sitting through poop jokes, you don't have to worry about anything. This year Pixar went with the sequel Cars 2. Many will say it was for more cash. Winnie the Pooh is back and it never feels like a money grab. Pooh stays sweet. Oh bother. Oh you better bother. You better bother indeed! It's a movie I can't wait to watch again, and once I have children this film will be an absolute must. 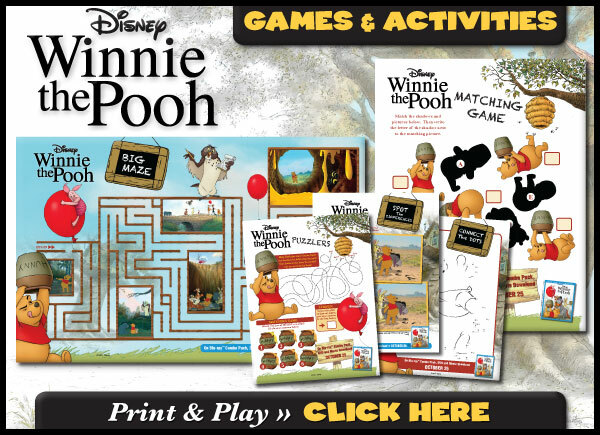 Exclusive bonus short "Mini-Adventures of Winnie the Pooh: The Balloon"
"Winnie the Poop and His Story Too"
And speaking of extras, here are some activities for the kids!